While the world is fixed on Ukraine, much more interesting and dangerous things happen in Turkey. Yes, a NATO member and associated as market with the European Union. For months up to now is going an internal war inside the ruling elite. Almost every day appears any discrediting information about someone in the government. Up to now hundreds of mid and high ranking officials have been fired, along with even some ministers that resigned. The prime minister Erdogan is hardly keeping his office, and first flashes of anger appeared even between him and his close mate – The President Abdullah Gul. In last weeks the tension so much increased that the government started a looking much like a panic operation of censoring Twitter, YouTube and some other major sites. But in last days happened the most dangerous of all – The Turkish army started to fire at Syrian one in an obvious attempt to provoke a war and this way – to export the internal problems abroad. This is a classic and proven in history strategy. When you succeed in creating a new enemy and a bigger looking problem, the public forgets about smaller problems. The only problem with this strategy is that it is too cynical and too bloody and the price of many sacrifices is not worth for just saving someone’s political career. Obviously talking absurd theses against Internet and trying to restart a war that was very difficulty stopped by global forces leads to a conclusion that Erdogan is frightened. Up to now he staked all on upcoming municipal election that he planned to win overwhelmingly and this way stabilize his power. 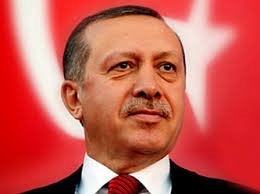 But now with Twitter and Syria guilty for Turkish problems it looks as prime minister is losing ground. The situation in Turkey is much more dangerous than in Ukraine. Putin’s power is not under threat and he is implementing just a standard imperial policy. The Crimea annexation was de facto bloodless. With or without Ukraine crisis Putin’s policy is successful and Russia is returning its role as a global power. With Erdogan it is not the same. He is an autocratic leader, but have no the same stability. In addition Turkey is located in Middle East where problems are eternal. And in last few years Turkey has become the second most active anti-Israel power in the region, after Iran. Syria is no match for Turkey. After 2 years of civil war it can not sustain more than 2-3 days. Even when it was stable, during the previous President – the father of Bashar Assad, even then Syria was not a match for Turkey. So when Turks threatened to start a war because of Kurdish leader Abdullah Ocalan residing in Damask, so Assad-father simply sacrificed Ocalan. But today the situation is dangerous due to 2 more facts. First – Russia is behind Assad and is not clear what type of weapon could be shipped there. And second – Syria is in the mid of destroying its chemical weapons. It still possesses some chemical arsenal. Turkey can pay in many casualties if desperate Assad pushes the chemical button. And finally in so unstable region with Israel constantly threatening Iran, Palestinians in endless Intifada and Arab Spring shaking almost everywhere, in this situation turning Turkey into a destabilizing power may start a fire impossible to extinguish for years. Generally the UN and the world must pay much more attention to Turkey at the moment than to Ukraine. The fate of 1 politician is not worth the lives of thousands.